This handler uses Salesforce's REST API to disable a user in Salesforce. The first thing that the handler does is obtain an access token using the inputted info values, which is used to authenticate the rest of the calls that are made. Next, the handler makes a call to retrieve the user id that corresponds to the inputted username. One last REST call is then made to Salesforce using that user id to disable the desired user by setting the IsActive flag to false. Where to find the Client ID, Client Secret, Security Token and Salesforce Instance. Go to Setup, which is in the dropdown menu under your name in the upper righthand corner. On the left sidebar, your Security Token can be found under Personal Setup > My Personal Information > Reset My Security Token. To get the Client ID and Client Secret, Navigate back to Setup and go to Manage Apps. Create a new Connected App, and fill in the basic information for the app. Check the Enable OAuth Settings checkbox and put https://auth for your callback url. Under selected OAuth scopes, add Access and manage your data (api) to your selected scopes and save. Your Client ID and Client Secret will be found on the app information page that you were redirected to upon saving. Username Username of the account that will be disabled. Retrieves a Salesforce Account record with the given Account Id. 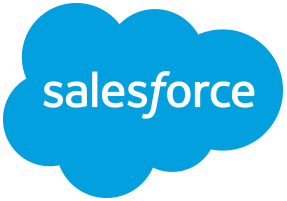 Creates a Salesforce Contact record with the given parameters and returns the Contact Id of the created Contact record. Updates a Salesforce Contact record with the given parameters and returns the Contact Id of the updated Contact record. Generically deletes a Salesforce object given a type and an id. Generically updates a Salesforce object with a given type, id, and JSON body. Retrieves a Salesforce Opportunity record with the given parameters. Create a new task in Salesforce. Retrieves a Salesforce User record with the given Username.